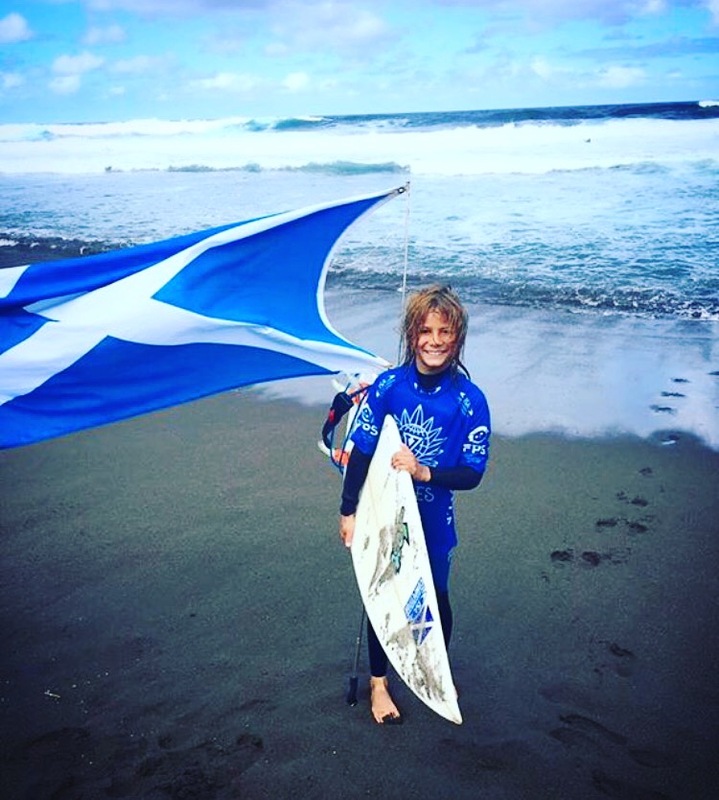 SCOTLAND VISSLA ISA WORLD JUNIORS 2016 from Robbie Robertson on Vimeo. 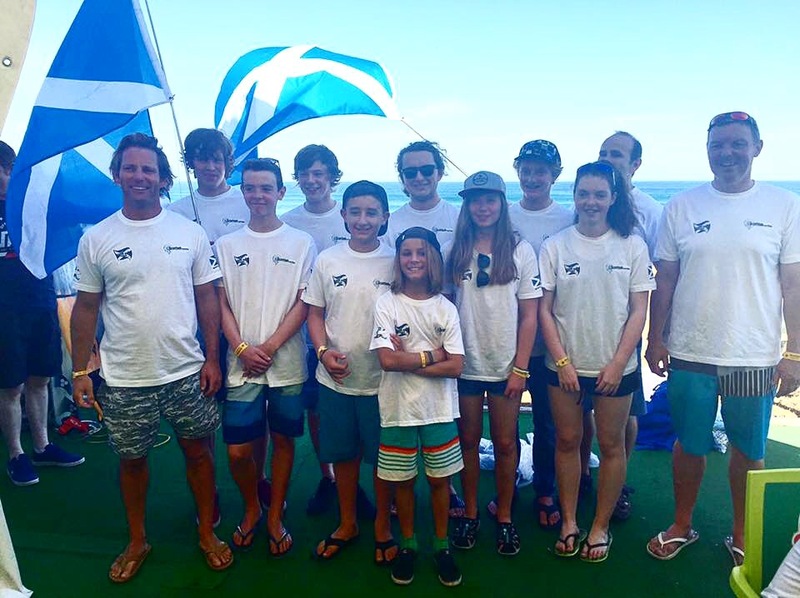 The first Junior Scotland team in SSF history to compete on the worlds biggest stage at the I.S.A Vissla World Junior Surfing Championships in the beautiful Portugal islands Azores, sitting smack bang in the middle if the atlantic where the Gulf stream runs through keeping the water at a balmy 24c landscape a cross between the Canaries and Hawaii, with reportedly only 50 local surfers! 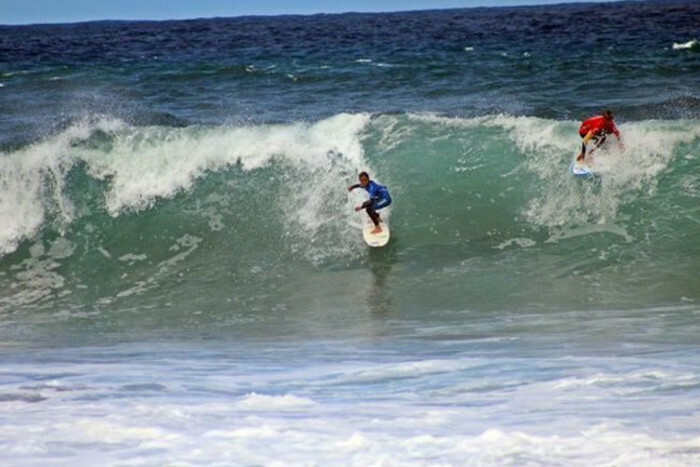 The contest was held sept 17th-25th at beach break Ribeira Grande situated on the north shore of Island San maguel. There were 39 Teams from all over the globe taking part with 4 age categories u16 boys, u16 girls and u18 boys, u18 girls, 12 spaces to fill , we covered all but one which was a great representation on our first outing. Surfing now included in the 2020 Tokyo Olympics has without doubt increased the profile of competitive surfing as was evident with the professionalism shown amongst many of the teams, especially Team Japan. on the sat 17th Ribeira Grande in overhead surf doing an impression of a french beach break including rips!! which would be the norm for the majority of the contest period . 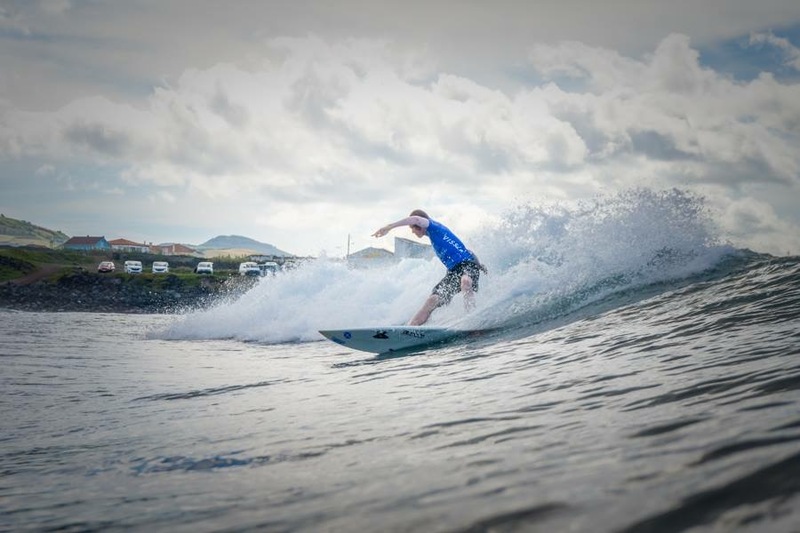 Andrew Robertson (SCO) and Finn McDonald (SCO) took to the surf first in their heats of u16 and u18 boys (both badly burnt having arrived days earlier surfing in boardies and No suncream!) lesson learnt there boys? the contest was run on 2 podiums simultaneously and the introduction for the first time adopting the wsl 4 man prioirty system, with a little bit of luck not running there way both just missed out advancing through to 2nd round open round heats, but into the repecharge rounds, it was along day for them having already had the opening ceremony but the isa wanting to press on with the 372 heats to get through in 7 days. 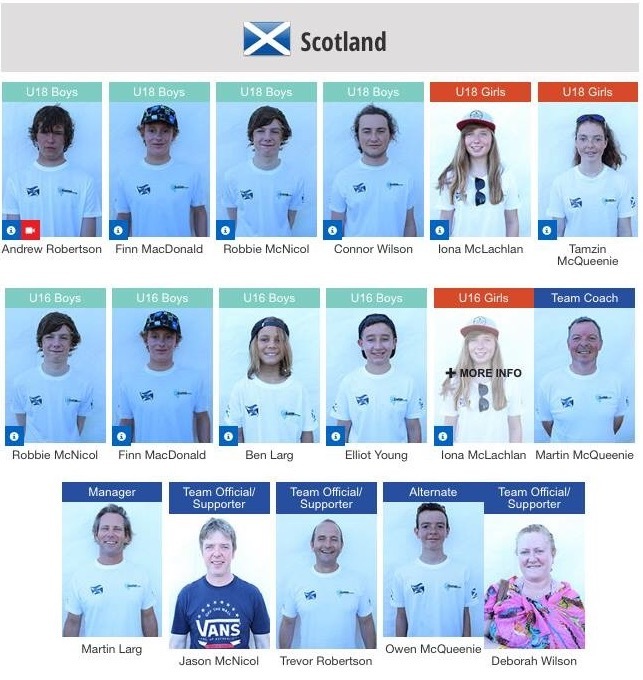 Day 2 would see the girls take to the water in the smallest surf of the week ,waist to chest high,Iona Mclachlan (SCO) surfed really well in the u16 only to be pipped at the post by .80 into 3rd by welsh surfer and some tactical priority blocking. And so on to the repecharge rounds , might be worth mentioning at this point that many of the repecharge round winners have gone on to win open contest as they merge together after round 3. Contest was put on hold for a couple of hours as the tide filled in, with the first folk in the water us lot! boardies and rashvests doned,Team manager Marti Larg and Team coach me (Martin McQueenie) getting in the way in the line ups.. the surf was actually more contestable in those 2 hrs than the rest of the day! with only a few heats run in the remainder of day 2 it was going to be an early start for the rest of the team now frothing to take part. Day 3 The surf picked up to head high and saw Iona McLachlan (SCO) and Tamzin McQueenie (SCO) in u18 girls both surfed well but again missed out on 2nd place and progressed into the repecharge rounds, with a flick of switch which on reflection happens in Hawaii the surf doubled in size and now completely changed the dynamics of the contest just as Robbie McNicol’s (SCO) heat was underway with what would prove to be a paddle contest just to sneak out between sets! Quite an intimidating place to be as you paddle out with relative ease and suddenly half way through your heat the sets appear on the horizon i was thinking of waimea and trying to paddle back in! 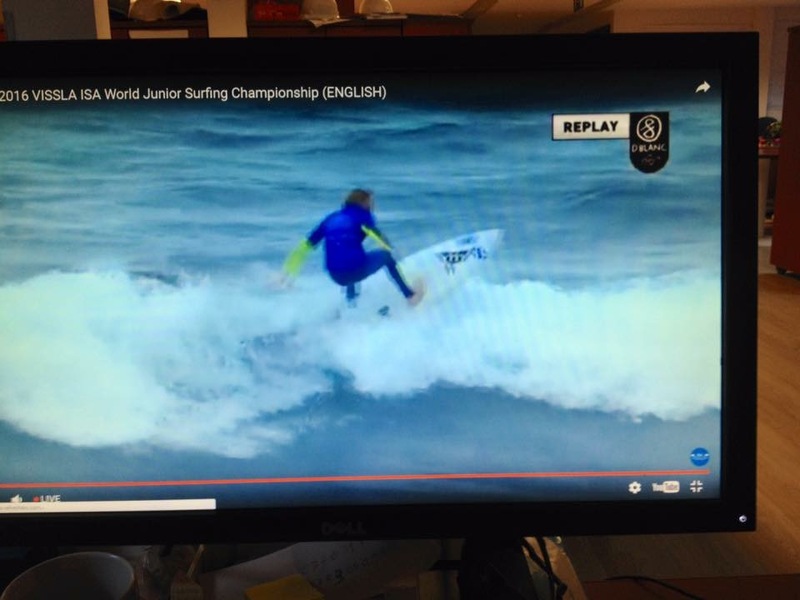 In retrospect i am sure if it was a WSL event there would have been jet ski assist but not for the ISA junior event! but there were 2 jet skis on patrol for the whole event one of which Tamzin (SCO) fluked a lift on at the end of her heat (well jammy)! 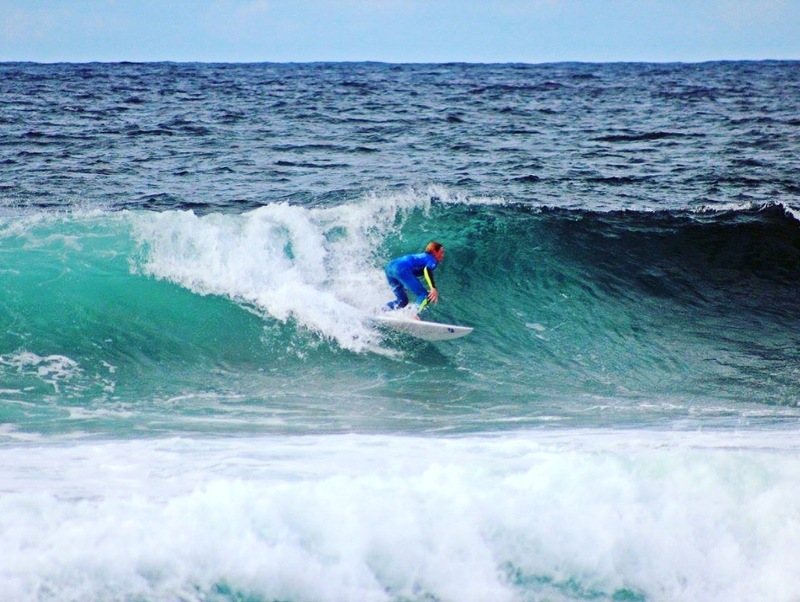 Robbie (SCO) made it back to shore safely and then had his u18 heat immediatley after at podium 2 up the beach with the prospect of now paddling out through it all again. Day 4 saw all the team competing some at the same time on both podiums which was a bit of headache for manager and coach in very challenging conditions with inside reform surfing again playing a tactical part throughout the whole day from all the teams , just paddling out showed total commitment including the girls and a hats off to them for that, the commentators were praising us online apparantly showing the grit we scots have. managed to paddle out after what seemed like ages around 7-8 mins with no others managing to put down a score in top to bottom sandbar closeouts. With his wise old shoulders turned and took off on a set wave, made the drop and instead of trying a re-entry as others had been trying to do in his heat unsuccesfully with the warping wall ahead Ben smoothly kicked off the wave showing total control and made the score, now in the lead!! a very tense few minutes went by as Ben had to yet again get himself back out for a back up score and second counting wave, at this point the Welsh, German, Russian, USA teamsand ISA commentators were going nuts! 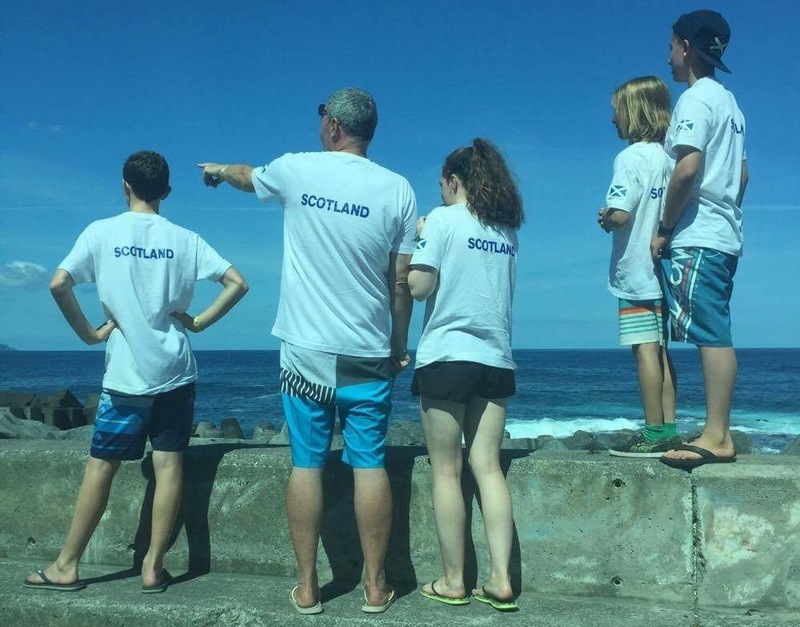 Having seen the determination by ALL the Scots paddling against the surf all day all hopes were pinned on the ‘wee man’. A set loomed with 2 minutes to go Ben (SCO) not having priority but in position had the foresight to take off/make the drop behind the Isreal surfer who did have priority and as Ben had not interferred as he straightened out with control…he was through!!! achieving 2nd place. An emotional team congratulated him and ever the proffesional congratulated the others in his heat. – We had a surfer into day 5!! Day 5 had Ben in Round 2 repecharge but proved just not long enough a heat having made it out, the others had already posted scores all at least twice his size! 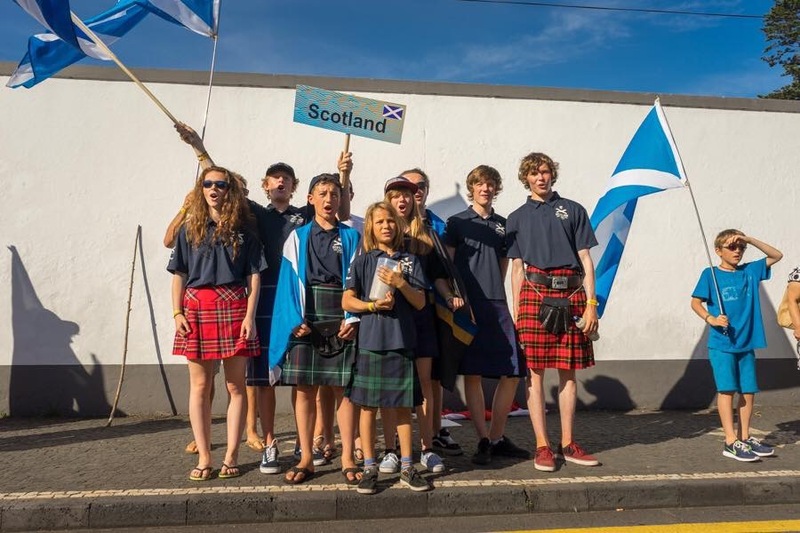 The contest was won by the French, Australia second , Hawaii third and Japan fourth, Team Scotland finished a very respectable 27th out of 39 teams. Thanks Azores we will be back!!! 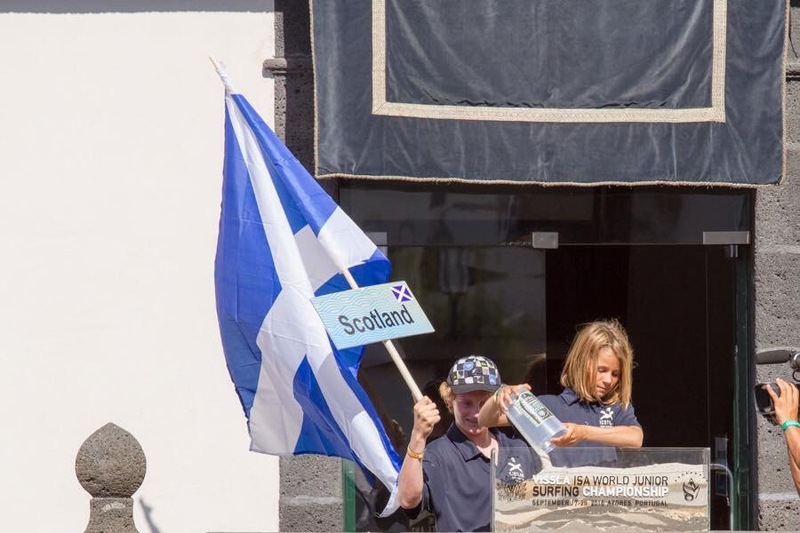 Thanks to the ISA and Lara Wilson for the photos.